Lent and Easter are full of seasonal foods. 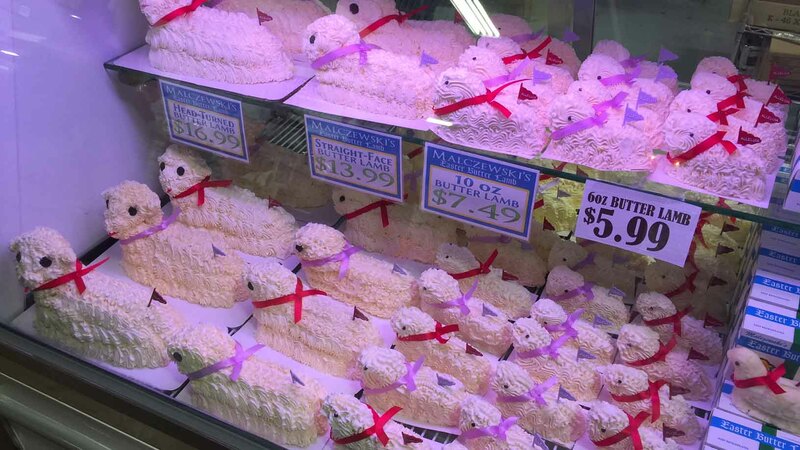 Chocolate bunnies and marshmallow chicks are the likely conversation starters nationwide, but here in Buffalo you can’t make it through a conversation without including the famous Butter Lamb. Now as you know, the Spring and Easter season isn’t complete without a trip to the Broadway Market – which is Butter Lamb Headquarters. 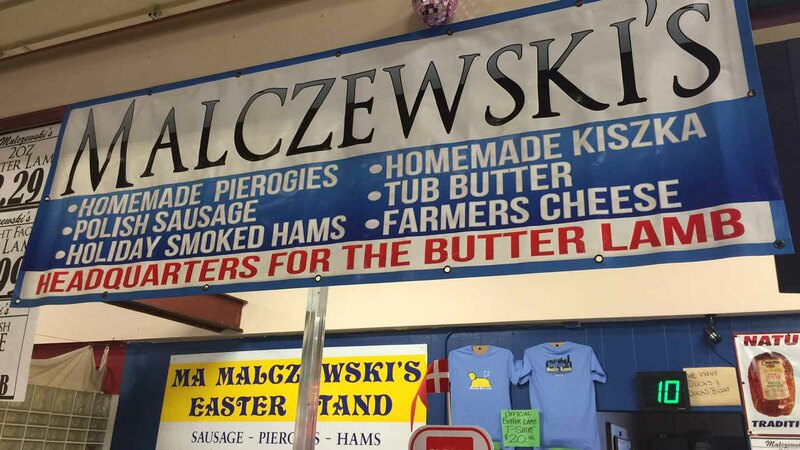 Look for Malczewski’s (Malla-cheski’s) – that’s where the Buffalo Butter Lamb got its start. And if you can’t make your way to the east side market this year, lucky for you most of the major grocers in the area carry at least a size or two in stock. 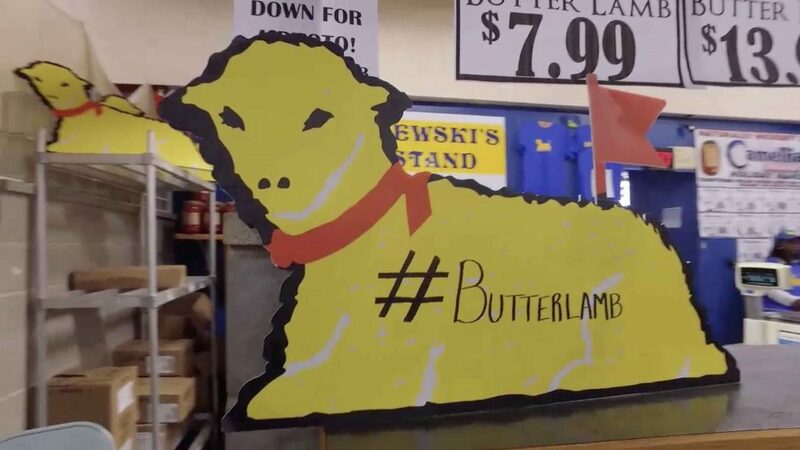 Oh, and of course, Buffalo’s Butter Lamb has a twitter account (@Butter_Lamb) for you to stay current on its whereabouts.